Don't feel awake until you down a double espresso? Will nothing but a cappucino perk you up in the morning? 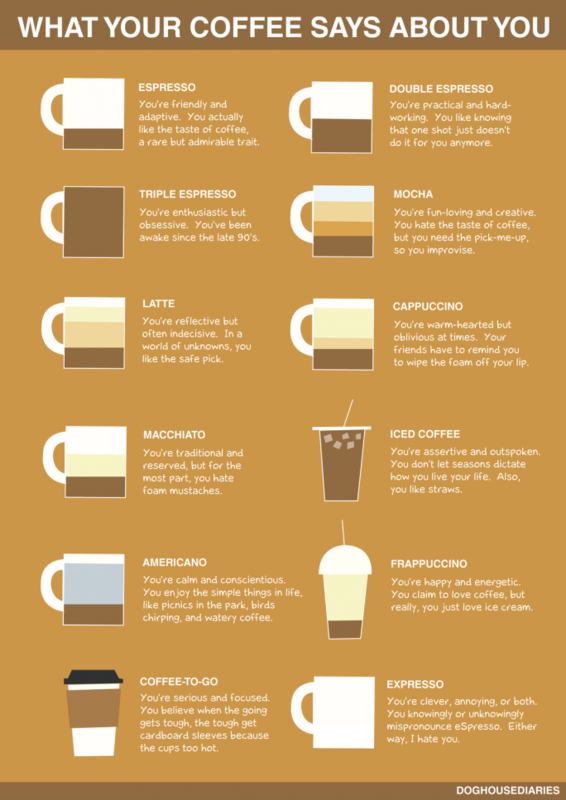 According to this infographic from Doghouse Diaries, how you drink your coffee actually says a lot about your personality. Do you favor cafe macchiato? You may be traditional and reserved. Do you dig Americanos? You probably enjoy the simple things in life like picnics in the park. Curious to find out more? Grab a cup of joe, sit back and read all about what your coffee says about you.